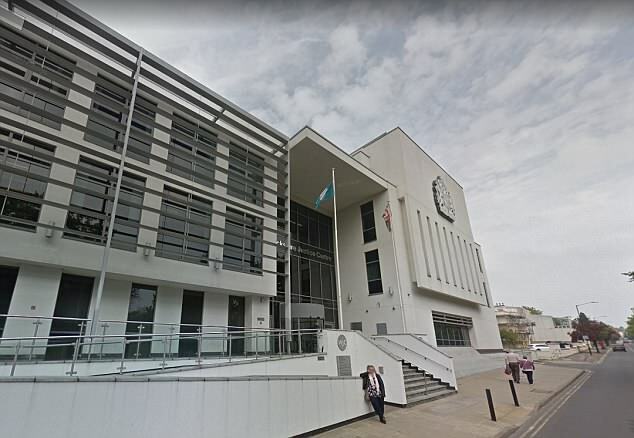 A mum has been branded an 'unhinged maniac' by a judge after she attacked another driver with her car key – but she was spared jail for the sake of her children. Furious Laura Line, 28, launched a foul-mouthed tirade at Gemma Geary, 37, after chasing her down following a near miss at a roundabout. Line ran up to Geary's car and began to threaten her, despite Line's frightened children screaming in the back of her car. She then brutally attacked the other driver. She was sentenced to 21 months in prison, suspended for two years 35 day rehabilitation order and 100 hours of unpaid work. 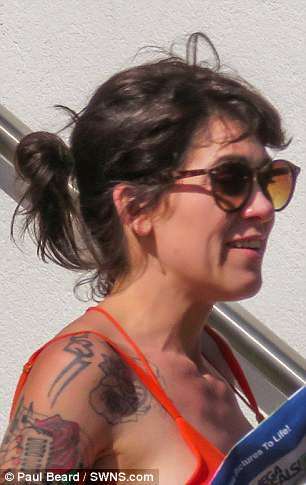 Line was driving her Land Rover, with her two children in the back, at speed towards Ms Geary at 7.45am on June 19 last year in Dordon village, Warwickshire. After being forced to brake hard, Line turned round and chased Ms Geary - who had the right of way - before pulling her car in front of hers, forcing her to stop. Line pulled at the partly-open window of Ms Geary's car, causing some damage to it, before pulling the door open and punching her in the face. She struck her again and pulled her hair, then grabbed Ms Geary's keys and held them with one key protruding between her fingers and hit her again in the face. Line, of Baddesley Ensor, was convicted of assault and causing damage to a car following a trial at Warwick Crown Court on Friday. Judge Anthony Potter said: 'You are responsible not for one, or two, but three children. 'You should feel thoroughly ashamed of yourself for what you put them through. 'Not only did they have to witness you behaving like an unhinged maniac, but they have had to pick up the sense of anxiety over this court case. 'You should bear that in mind for every day of the next two years, because I am going to suspend the sentence, against my better judgement. 'The children are probably just better off having you at home rather than having both parents in prison. Prosecutor Caroline Harris told the court Line flew into a rage after she was forced to brake as she tried to cross a mini-roundabout but failed to give way to Ms Geary. A man who witnessed the incident went to help Ms Geary, and as Line got back into the Land Rover and began to drive off, he thought she was going to hit him. The court heard Line had a previous conviction for affray and a reprimand for assault.